As a business professional that travels extensively and utilizes hotels across the Midwest every week, I am always searching for economical lodging options. During one of my most recent hotel stays, I was reminded how the Sleep Inn and Suites by Choice is one of those brands that offers its guests limited service pricing with full service flare! Specifically, the Omaha property is a 90 room hotel that recently completed a full makeover, starting at the front door and impacting every area of the hotel. The beautiful new style and bright cheery colors brings new life to the hotel, offering a very contemporary and comfortable atmosphere for guests, delivering that immediate “wow” factor when entering. Renovations for the Omaha Sleep Inn left no stone unturned, covering all areas of the hotel from walls and flooring to lighting, mattresses, bedding, drapery, and décor. 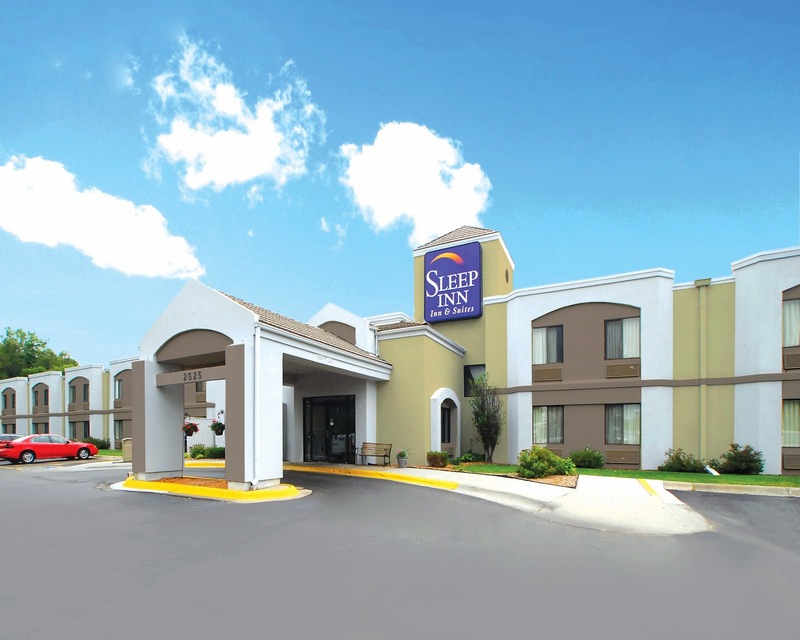 The Sleep Inn and Suites located in Omaha was initially one of the frontier hotel properties during the development of the area near Eppley Airfield. Over the years, this Choice property accommodated tens of thousands of travelers coming or going to their specific destinations. A new renovation is a great way to reposition any hotel within its current market. For the Sleep Inn of Omaha, this renovation gives new reason for both business and leisure travelers generated by Eppley Airfield and the Century Link Center to give this hotel a second look. Location is another important attribute to this hotel. The hotel is ideally located near downtown Omaha and historic Old Market Omaha, a premier arts and entertainment district featuring fine dining, shopping, corporate meeting facilities and upscale nightlife. The hotel also provides Complimentary evening shuttles from the hotel to the historic Old Market! Of course there are many other complimentary full service amenities to enjoy while staying at this location, such as Morning Medley Hot Breakfast, airport shuttle service to and from Eppley Airfield, wireless high-speed Internet access, USA Today and Omaha World-Herald newspapers, on-site fitness center, and copy and fax services. Not to mention, the place smells wonderful every evening as they also offer freshly baked cookies! 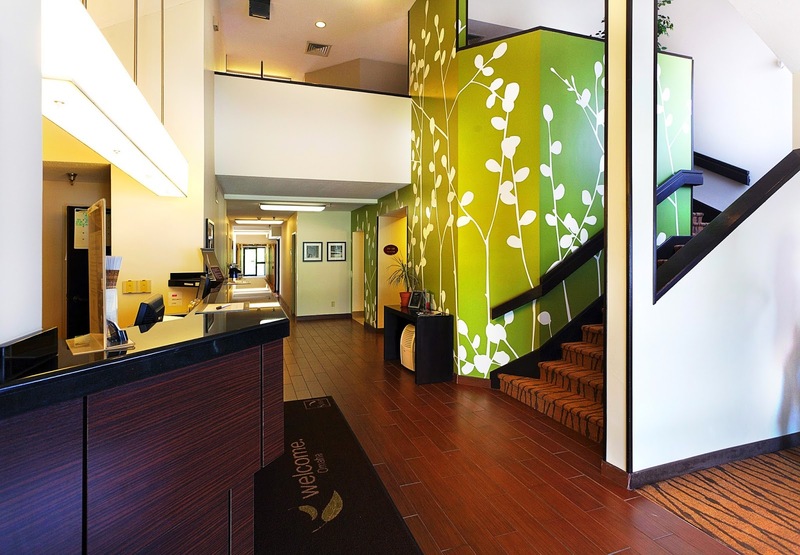 Whether you’re in town for business or pleasure, the Sleep Inn and Suites Airport is the perfect place for an economical stay with a contemporary flare. The friendly and professional staff will ensure your visit exceeds your expectations when visiting the Omaha area. Convenience, value, service and the beautiful new accommodations make this a great place to stay. This properties completed extensive renovation, is sure to impress thousands of new and past guests for many years to come. 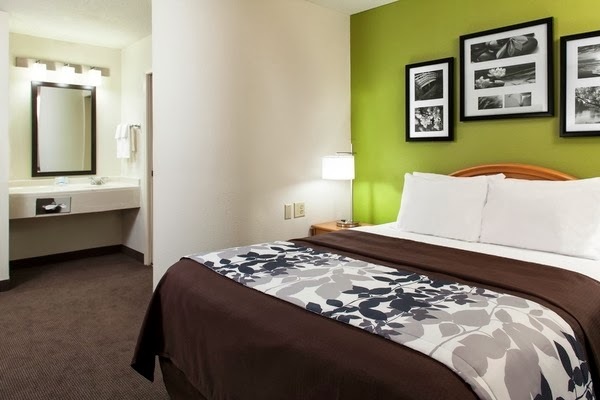 For more information about one of Kinseth Hospitality Companies properties, please visit our portfolio page at www.kinseth.com/portfolio.php or to book direct at the Omaha Sleep Inn and Suites Airport please visit http://www.sleepinn.com/hotel-omaha-nebraska-NE019.